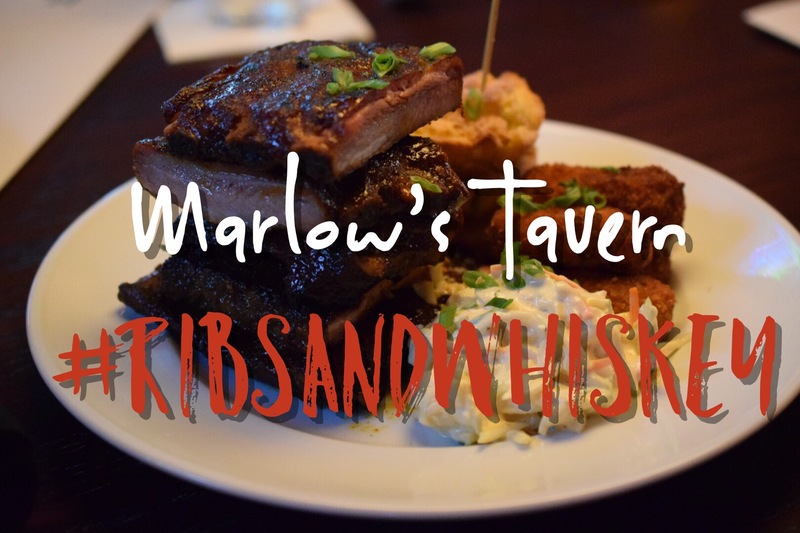 Now until October 17th you will be able to dive into the Marlow’s Tavern #RibsAndWhiskey menu with drool-worthy food and drinks specials at all four of their Central Florida locations. 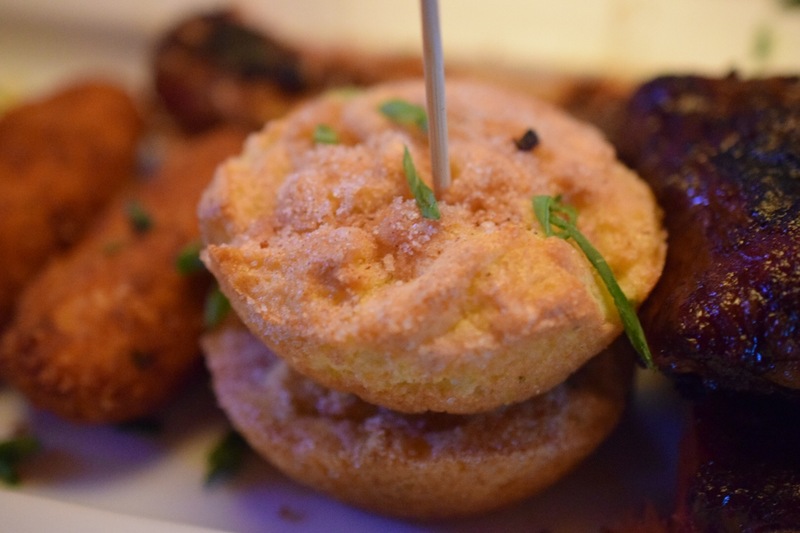 We were invited to sample some of this treats from special Ribs and Whiskey menu at their newest location in Orlando at Lee Vista Promenade, located near the Orlando International Airport. 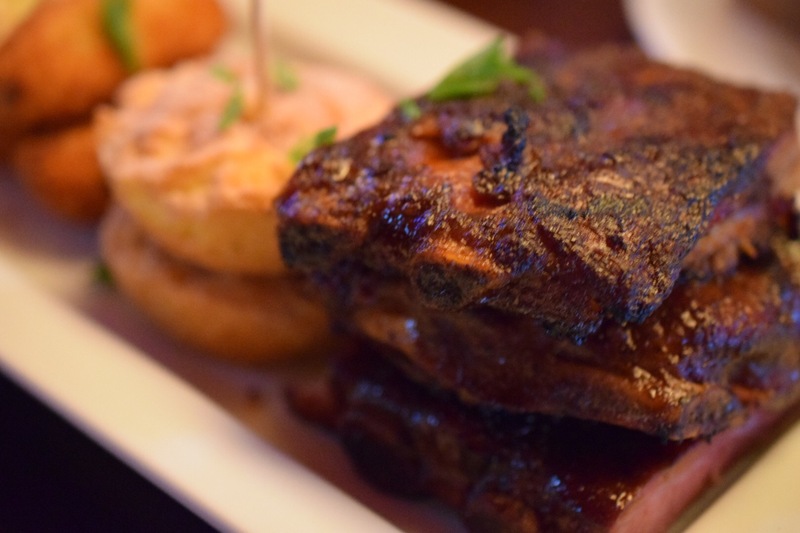 It wouldn’t be a Ribs and Whiskey menu without both of those specialties. I’m a fan of bourbon, so I went for their New Fashioned. 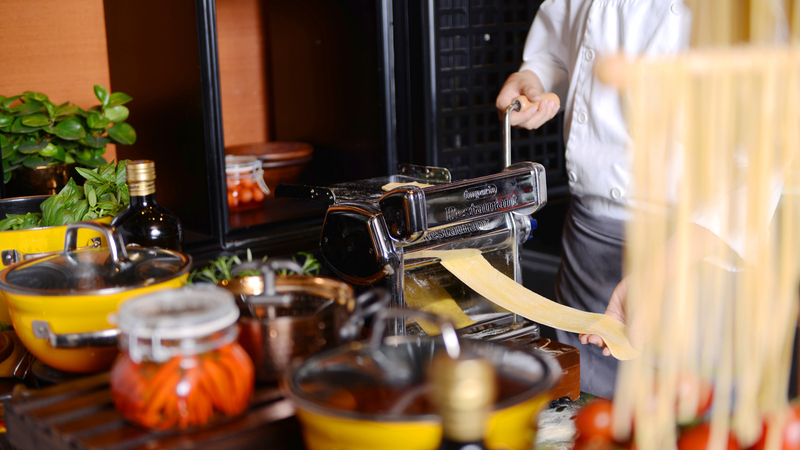 It’s a play off the traditional old fashion with a twist. Belle Meade Bourbon, Giffard Banana Liqueur, Jack Rudy Aromatic Bitters, and expressed orange peel served on the rock. After sipping on my New Fashioned, it was time for an appetizer. 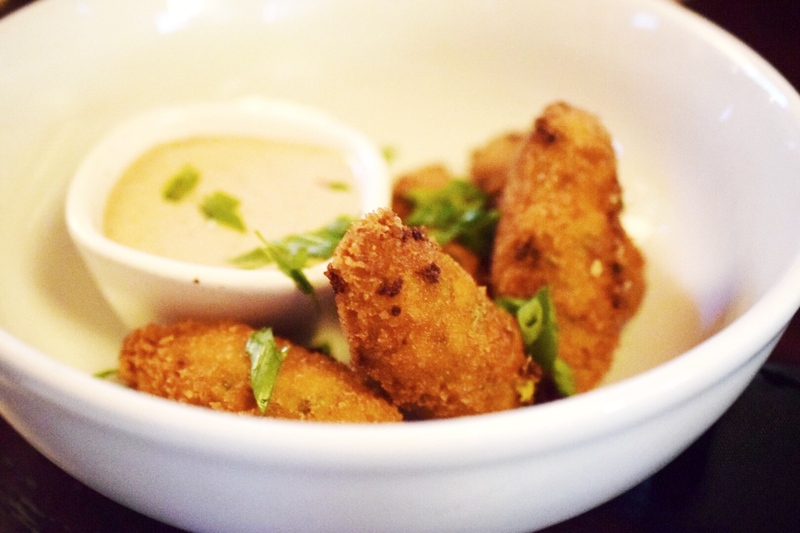 We sampled the Blistered Poblano and Jalapeno Poppers. These had a nice kick to them and was a great mixture of spice and cheesy goodness. Other speciality appetizers for the Ribs and Whiskey menu include a Daily Smoke-House Flatbread and Kickin’ Chicken Verde Soup. Now let’s get to the meat! The plate of slow-cooked Smithfield James River St. Louis-Styled Ribs were falling off the bone and served with granny smith apple-cabbage slaw, pimento cheese “stuffed” tater tots and house-made sweet corn and jalapeno muffins. Plus a sampler of three different sauces to try on the ribs. 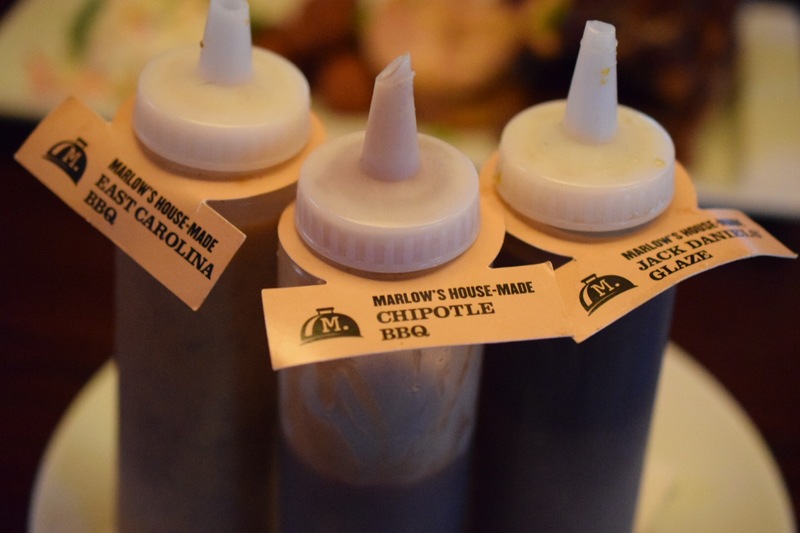 My favorite was the East Carolina BBQ sauce. 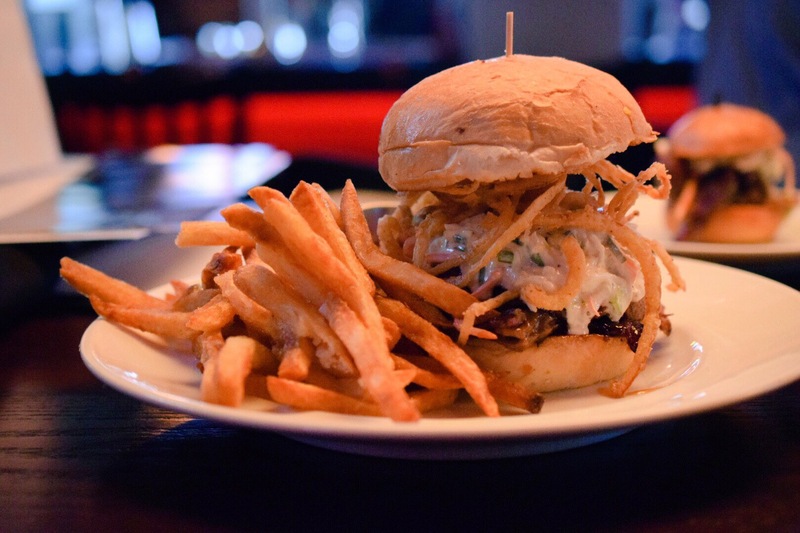 A new addition to the Marlow’s Tavern #RibsAndWhiskey menu was the Beef and Buns. A huge 24-hour smoked beef brisket sliced thin, slathered in Jack Daniel’s honey glaze, topped with granny smith apple-cabbage and crispy tobacco onions on a buttery onion roll. This sandwich was a mouth full! 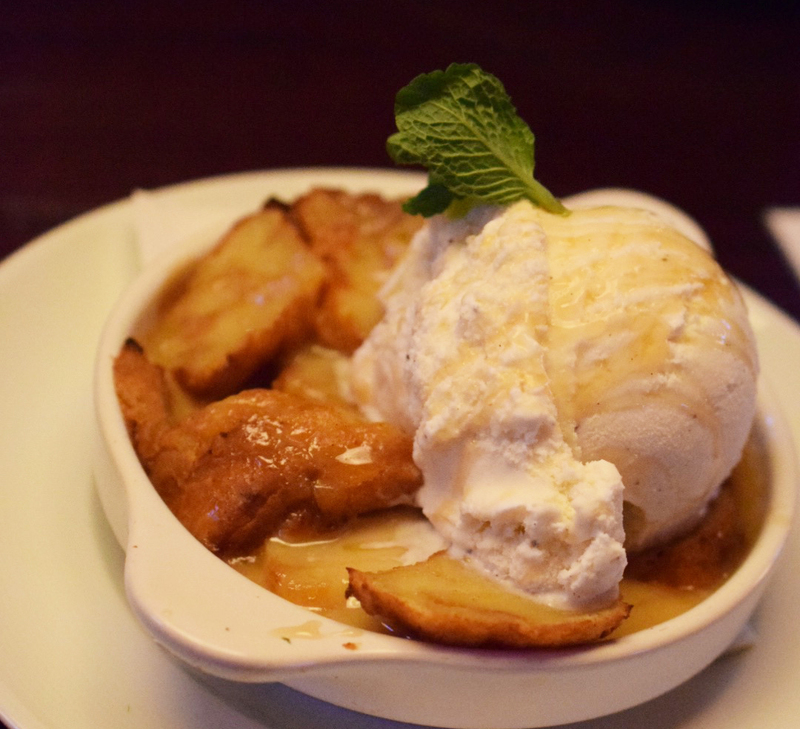 You can’t forget dessert, especially when Marlow’s Tavern has their Bourbon Bread Pudding back on the menu. It’s creme-brulee soaked Cuban bread with a splash of Jack Daniel’s Tennessee Honey served with a scoop of vanilla icecream. 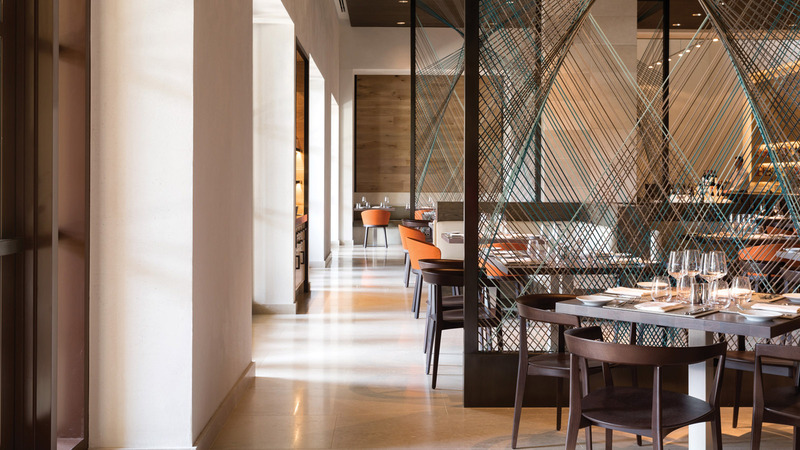 There are four Marlow’s Tavern locations in Orlando: Internationa Drive at Pointe Orlando, Winter Park on 17-92, Waterford Lakes Town Center, and Lee Vista Promenade. 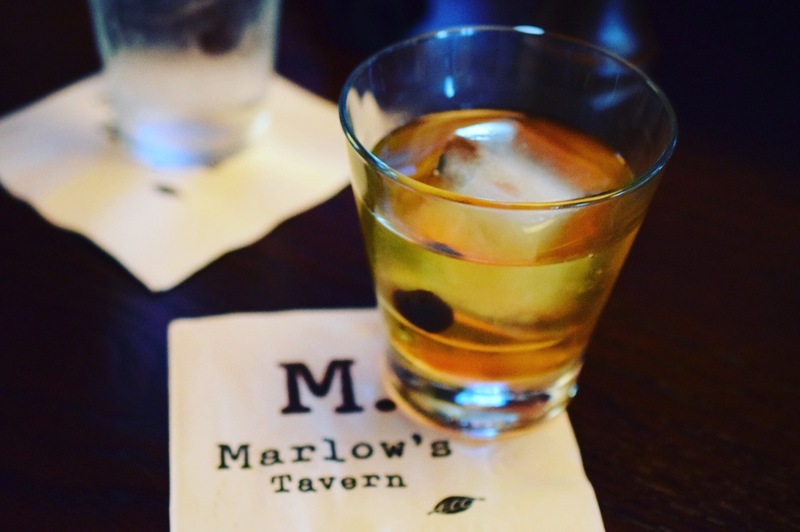 Visit www.marlowstavern.com for more information and locations. 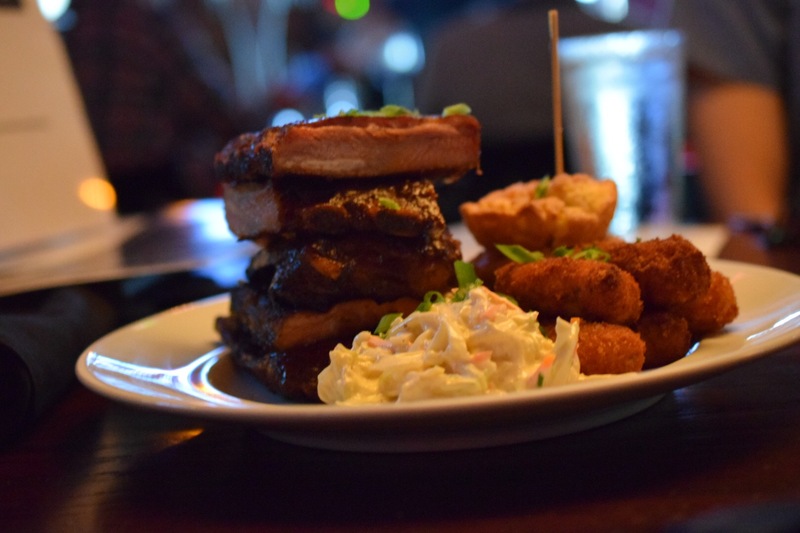 Tweet me @EatMoreOfIt using #MeetMeAtMarlows and #RibsAndWhiskey with your favorite dishes! 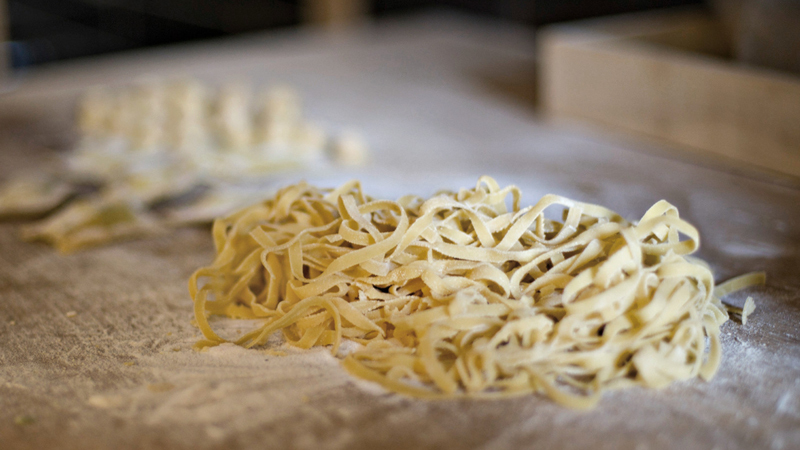 Follow along with our foodie adventures on Instagram at @EatMoreOfit too.